Description - Looking for 'Green' carpet? Then look no further than Mohawk's Thriller carpet. Made entirely from post-consumer recycled bottles, this eco-friendly floor is certain to fill all of your Earth-hugging needs. Great in both residential and commercial spaces, this broadloom carpet is resistant to staining, soiling, pet urine and is anti-static. Backed by a lifetime warranty, this carpet is safe and certain to look beautiful for many years to come. Recommended Uses - Mohawk Thriller carpet is very eco-friendly and is great as flooring in any room in your home or business. This broadloom carpet is easy to clean and maintain and is commonly used as flooring in bedrooms, living rooms, family rooms, in dining rooms, as den flooring, in apartments, as condo flooring, in churches and much more. 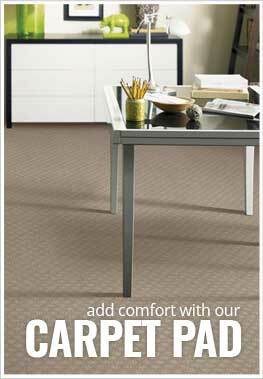 Great as residential and commercial carpet.